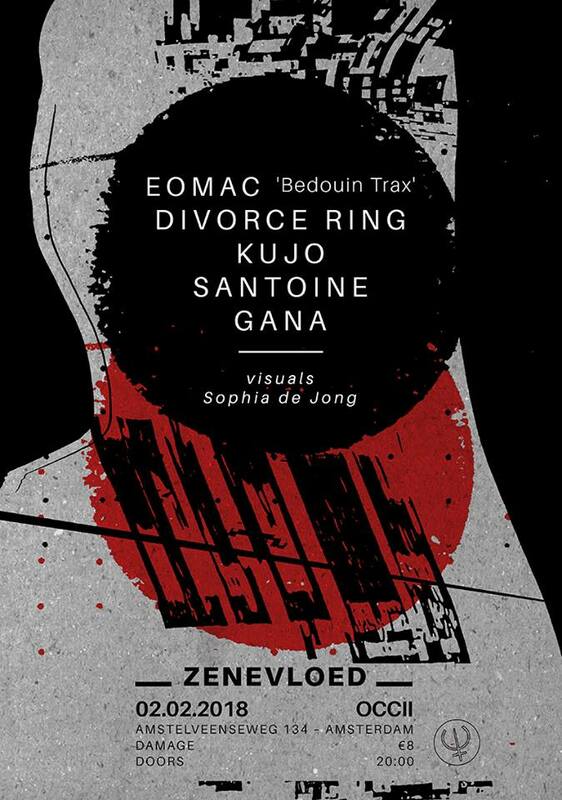 On the 2nd of February, Zenevloed will return to OCCII for another of its concert editions. For our first event of the new year, we wanted to offer something special. Which is why we have curated a night of leftfield techno and noise, that should shake the earth beneath this historic Dutch building. Eomac will be joining us to present his Bedouin Trax live hybrid. The album released as “Bedouin Trax” in 2016 successfully merges western electronic technology with Middle Eastern aesthetics. A true sound journey that travels through modern music and mystic oriental soundscapes. An inspiring project which we are excited to witness live in Amsterdam for the first time. Ian McDonnell a.k.a. Eomac, best known as 1/2 of Dublin duo Lakker, has released genre-spanning club music via The Trilogy Tapes, Stroboscopic Artefacts, Inner Surface and most notably the 2014 LP ‘Spectre’ on Killekill, garnering support from the likes of Thom Yorke, Surgeon, Nina Kraviz, Ron Morelli, Laurel Halo and Aphex Twin. His latest ‘Bedouin Trax’ LP draws from obscure Middle Eastern music, digging deep into a dark mysticism for the dancefloor – it is presented live with a video tracked dancer and visuals by sYn, expanding the experience to the outer realms. Divorce Ring is the power electronics/death industrial project of Georgia-based musician Kelby L. Clark; creating distinctly dark and haze-like atmospheres which are composed of deep pulsating synth tones, both dissonant and harmonic ambience, musique concrete tape elements, and heavily processed vocals. Divorce Ring has performed at underground shows and experimental/noise fests all over the United States, and has released cassettes on labels such as III Arms, WATERPOWER, Fraternity As Vanity, and Popnihil. Kujo is a sound artist from Beirut, whose philosophy behind the project is in parallel with the concept of his record label Modular Mind. 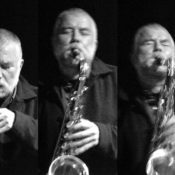 The aim is to acknowledge the past but also to push the envelope of current electronic music experimentation, a core element of the project is to challenge sonic expectations as well as creating cultural spaces based around the sound experience. Kujo also runs Modular Mind Mastering which caters for an underground network of labels in the techno, ambient & experimental electronics realm ranging from Tokyo / Seoul through to Beirut / Paris & Berlin. As Santoine, Serge Lemm’s debut cassette evokes an atmosphere of beauty and entropy in an ever changing Europe, fluctuating between murky atmospherics and seething industrial. Lemm is also 1/2 of the duo behind podcast series Abyssal: eternal influences of electronic music, infinite depth to darker atmospheres.